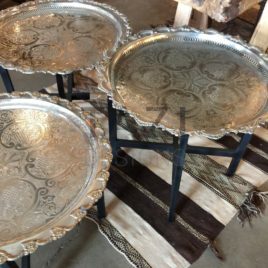 Vintage Moroccan silver trays with elegant and sturdy iron legs. 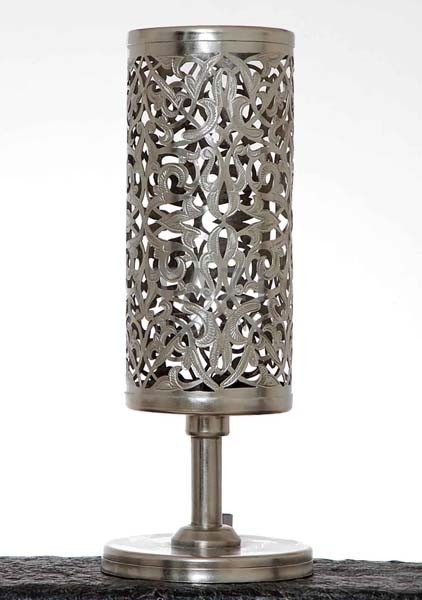 Perfect as a set of 3 at different heights in front of a sofa or as side tables. 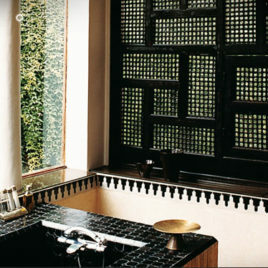 Moucharabieh carved wood screen and Moroccan zellij tile in bathroom. 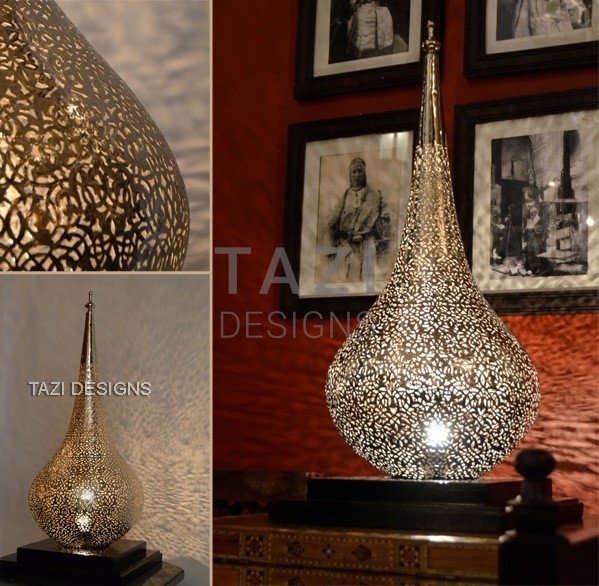 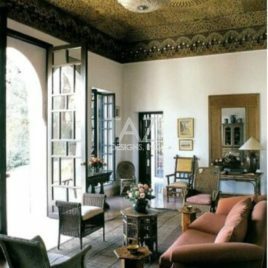 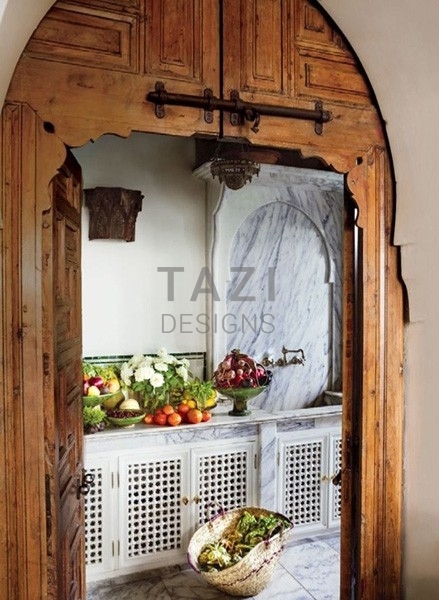 A Moroccan Interior Design from Tazi Designs. 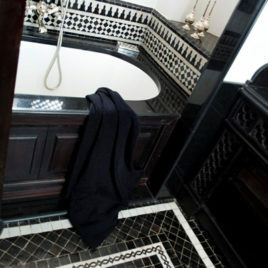 Contemporary style Moroccan tiled bathroom using black and white mosaic.